Pasha was an administrative role in the ottoman empire and, in the western world, this noun was used to indicate a man knowing how to live with pleasure. 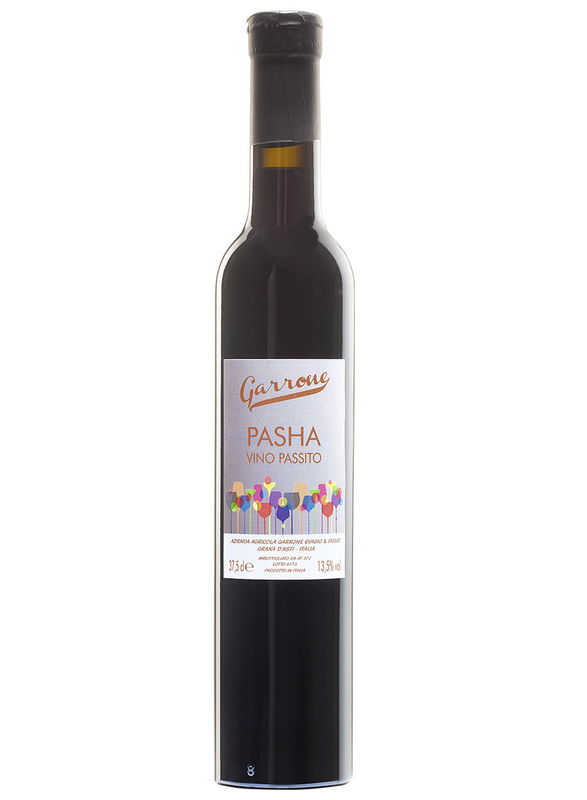 With a pun between the words pasha and passito, we named in this manner our “bon vivant” wine. Ruchè grapes are picked up in advance and left to overripe on a drying rack till December, then they are vinified as a normal red wine; due to the large amount of sugar, yeasts do not fulfil their role, leaving a typical sweet taste. Pasha has a flower and spice scent, with a touch of honey and vanilla. It matches well with aged cheese, desserts chocolate and sweet corn pastry.